Journal de La Reyna (World News Today): "Stuttering" John Pranks Trump! A comedian fools our inept leader. 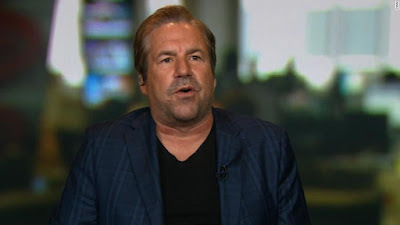 Howard Stern's prankster "Stuttering" John Melendez is under federal watch after he managed to clear a call to our dear imbecile, Donald J. Trump. 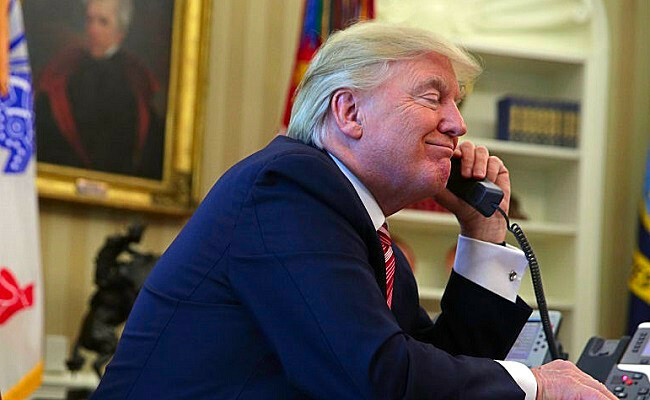 Stuttering John called the White House direct line and Jared Kushner was the one who officially picked up the line. Kushner cleared the line for Trump. The comedian portrayed himself as Sen. Bob Menendez (D-NJ), the embattled senator caught up in numerous scandals. Trump offered empathy and said he felt his pain. Basically he said that he knows what it's like to be under federal investigation. The fake senator was talking to Trump about his zero tolerance policies when it comes to family seperations..
Trump took a call from a prankster. He asked about how he feels about Anthony Kennedy's pending retirement and his potential pick. Trump was hoping to court the red state Democrats to push his nominee through. For at least ten minutes, Trump did not know he was being pranked. It shows the ineptness of his staff. Jared Kushner just gotten security clearance. It shows that Trump has not taken his job seriously. Stuttering John hired Michael Avenatti as his attorney. You may know that Avenatti is not playing any games here. He is representing Stormy Daniels, the whistleblower who uncovered the harsh treatment of immigrant children and now the comedian. Avenatti hopes that Michael Cohen cracks and spill all the dirty dealings between Trump and his allies.